Can onion juice re-grow hair? 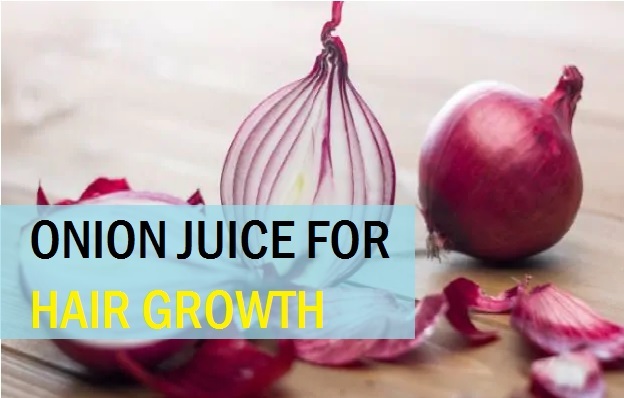 Yes, this is the topic of today’s post, where I will be sharing, how onion juice can make you grow new hair and stop hair loss. Growing healthy hair is not just for women but men too experience baldness and thinning. Undoubtedly, your hair is your crowning glory and no one of us wish to lose that. None of us like the sight of hair falling in clumps. A simple home product can be useful for you, if you use it regularly. And that is onion. Yes, So true? Onion juice aids in hair growth. I have compiled these detailed procedures and methods that can help you get hair growth back. It involves use of several other beneficial ingredients along with the onion juice. The application of onion needs some care and precautions which can give you good experience. While we know that hair loss is as common in today’s world. There are many factors that can be blamed for that, like stress and lifestyle changes apart from the diet, hereditary, chronic illness etc. But the truth is that men wish to keep their hair in full glory as receding hairline can make them look older than they are. And what can be better that the home remedies. Natural treatments cost less and have no side effects known. The only drawback I can think of is the time it consumes, but it is worth it. Trust me!! So, let’s take a look deeply into how onions can increase your hair growth. Do Onions Help Hair Growth? Research shows that onions are capable of hair growth that means you can get the lost hair back by doing some simple home remedies remedies with onions. As per the research done on this topic, it was found out that the application of the onion juice on the scalp regularly can help sprout the new hair follicles and also helped some people get relief in their thinning hair and baldness. Onion juice application benefits were also seen in the case of alopecia for few men and women, though men gained more positive results. The time of the experiment varied from 3 weeks to 2 months on most for the individuals. So, if you’re wondering how many months, you have to apply onion juice to get hair growth, then that can take at least 2 months or more. Even the bloggers and Youtubers share their success stores regarding this onion juice for hair re-growth. I will link the video at the end of the article that you can watch to check their reviews. Now, let’s dive deeper folks! It is considered as an efficient treatment with onion juice for alopecia areata. The amount of sulphur that onion contains can help to boost the hair growth. While, it is also seen that there can be hair loss due to the dandruff and the skin inflammatory condition. In that too, onion juice aids in prevention and cure. Onions are rich in anti-oxidants and anti-inflammatory compounds that can aids in reducing the hair fall. It boost the scalp’s blood circulation that actually stimulates the eruption for new hair follicles. This is why a lot of people have seen results in their bald patches. The success rate of onion application for growth of new hair is pretty good. Is onion juice good for hair fall and dandruff? Dandruff and other scalp infection also cause extreme hair loss. As onions are rich in the anti-bacterial and anti-fungal properties, it gives relief in scalp infections like dandruff. This in turns give you hair fall control benefits. Other that that, it also helps in thickening the hair strands and making the hair grow longer. Many women like to get long hair but due to certain reasons, their hair growth gets stunted. Onion can help you then ladies! Making onion juice is not difficult at all. Follow the instructions and you will be able to do it within few minutes. Take 3-4 medium sized onions. 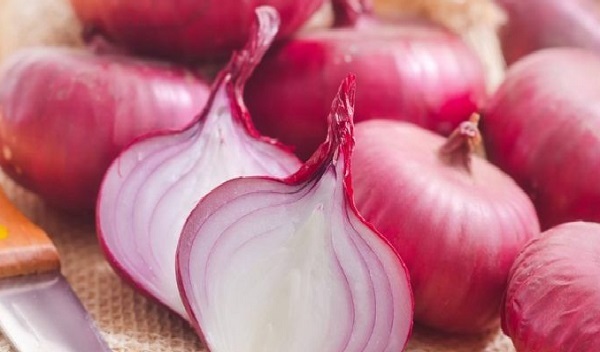 You can take white or red onion for juice, your choice though red onions are better for the remedies for growth. Peel them and get rid of the outer skin. Cut them into 2-3 pieces. Put the pieces in a clean grinder (that comes in your mixer grinder combo). You can also add ½ cup of water which will make the grinder process faster. You can also take a fine cloth to separate the juice from the pulp. Do not throw the onion paste. You can apply it on the scalp and wash after 30 minutes like a hair mask. It makes hair lustrous. It can be stored for 3-4 days in the refrigerator. Now that we are sure that using onion juice can stop hair loss, we should follow the steps. Yes, we can follow this procedure to curb the severe hair fall and induce the new hair growth. Firstly, you have to comb all the hair so that there are no tangles. Take the juice in a bowl and keep with you. Put little bit of the juice on the palm and apply on the centre of the head. Section the hair and apply the juice all over. You have to make sure that you apply the juice to the scalp and cover your entire area of the scalp skin. Whatever juice is left can be applied on the hair. Then, massage the scalp with light gentle strokes and tapping. Wear a shower cap to keep the hair getting messy. So, this is how you apply onion juice on hair. 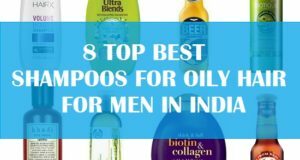 But what about the oily hair? Don’t worry, even if you have oiled hair then too you can use this. Make sure to focus more on the scalp massaging though. How Long to Keep Onion Juice? Now you have two options here. Either you wash the juice off the hair after 2 hours. Or you can keep the onion juice for overnight. This is better but only when you do not have any problems sleeping on with it. Take off the shower cap and wet the hair using clear water. First of all, you need to wash the hair sung clear water to get rid of the juice. The,n take any good herbal shampoo. 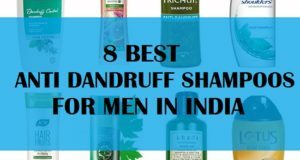 Shampoos with lemon, aloe vera, amla works the best with it. Apply the shampoo and rinse the hair to get rid of onion smell and residue. How Can we get rid of the Onion Juice smell from the Hair? One question might be still stuck in your head. And that is, how to remove the onion smell from the hair? Here’s the solution. Before washing the hair, you can take a mug of water and squeeze lemon juice in it. Add 1 teaspoonful of apple cider vinegar or two drops of tea tree oil (optional). 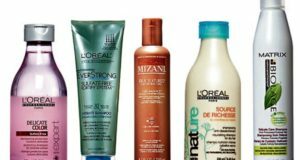 Rinse the shampooed hair using this mixture and the smell will go away. Alternately, you can also boil two onions in 2 cups of water and when the water becomes only 1 cup or less. You can stop boiling. Use this liquid as a tonic for the hair. Apply on the scalp and massage. This can be used 2-3 times in a week. it is a remedy to stop the hair loss and clump falling. Below are some combinations of natural products along with the onion juice. These hair packs and masks increase the efficiency and boosts the results in curing the baldness. The various blends not just gives you hair growth but also plays a vital role in getting thicker hair. Curry is known to darken the white hair or grey hair problem in men and women. So, what the big deal. The deal is that when you mix that with onion juice, you get the best of both worlds. This onion juice remedy is best to cure the hair loss. Take ½ cup of fresh curry leaves. Grind them adding some water. Mix that curry pulp/paste in ½ cup of onion juice. This hair mask can be applied 2 times in a week. Gives relief in grey hair and premature whitening of hair plus hair re-growth. Olive oil is a multipurpose product for your hair. I bet when you apply this along with the juice of onion, it works like a charm. Removes dandruff, cures itchy scalp and sprouts the new hair follicles. This is how you can apply onion juice for hair growth. Castor oil is one of the best oils to get hair growth naturally. When you make a blend with onion extracts then the benefits just skyrockets. Helps to cure alopecia in male and female. 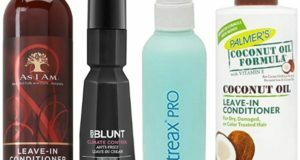 Boost the hair thickening and gives good hair growth. You can also apply this juice along with the honey. It remedy give you good hair condition. Gives smooth hair and is wonderful for the dry hair. It also help you re-grow your hair. It also helps wonderfully in increasing the hair thickness. One of the best oils to use for the baldness and thinning hair. You will be amazed by the results this simple tip can give you. You can also use Argan oil along with this remedy to grow hair faster. Massage the scalp at night with this. 3-4 times in a week for makes and 2 times for females with long hair. 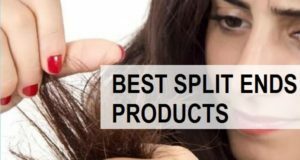 It helps in stopping the hair fall and hair thinning. Also it deep conditions the hair and thicken the hair from roots to tip. Just like onion juice ginger root too helps in preventing the hair loss and regular application increases the hair density. 3 times in a week. If you can keep this onion juice and ginger juice for overnight, then it gives you more benefits in reducing the hair loss. But make sure you do not have any discomfort like itching or sensitivity. Reduces hair fall and hair loss. Clear the scalp off the dandruff and open the pores. Just like ginger, we can use garlic pulp or paste along with onion juice. Garlic is also rich in sulphur therefore, this amazing combination of roots boost the hair growth. 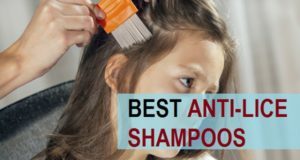 It is certainly one of the best remedy to get new hair back. Add 2 teaspoonful of onion juice in 1 teaspoonful of garlic paste. Apply this on the scalp or just over the affected area. How often: 3 times in a week, you have to do this remedy for at least 2 month along with oil massaging. Yogurt helps control excessive hair fall and with onion juice it increases the rate of hair growth exponentially. Richness of vitamin C in lemon juice helps treat dandruff and rapidly increases hair growth. Mix 2 teaspoonful of lemon juice with 3 teaspoonful of onion juice. You can also apply onion paste with lemon juice. Benefits: Gets rid of the dandruff and scalp inflammation. Open the black pores and stops hair fall. Additionally, onion and lemon juice also prevent grey hair. One of the best natural method to grow hair quickly, but only for people who can withstand the smell of eggs, Seriously! Benefits: This recipe is effective for hair growth and increases the length of hair. Applying egg and onion also gets back the lost hair. Eventually, it decreases the chances of baldness. Benefits: Helps to give natural hair growth and hair loss. Regular use can also delay greying of hair and makes hair smoother. Benefits: Increase the hair volume, Repairs the dry cuticle and helps grow hair naturally. Benefits: You get silkier hair and nourished scalp is the primary benefit. Aloe vera and onion juice makes hair grow faster. Take ¼ cup of Nigella seeds and add equal amount of water. Put in the grinder to make a paste. Mix this paste with 4 teaspoonful of onion juice. Apply and wash after 30 minutes. It makes your hair texture better and also give good hair growth benefits. Mix amla juice and onion juice in equal amounts like 5 teaspoonful f both in a bowl. Mix and apply on the scalp. Wash your hair after 2 hours. This can also be kept overnight, if you do not have. 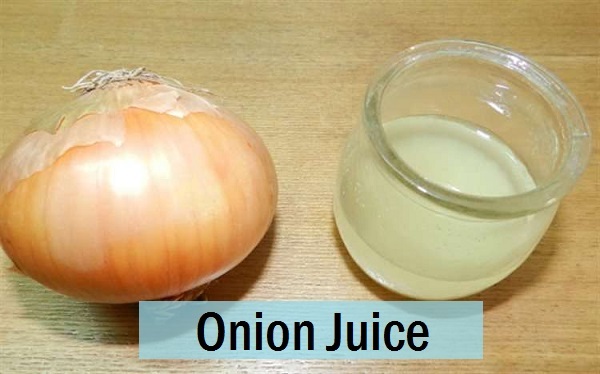 You can make the onion juice one time and store it for 1 week in fridge. Make sure that you filter or strain the onion juice thoroughly so that there is no residue left in your hair. Herbals shampoos are better to use while performing any herbal remedy for hair care. Wearing a shower cap is better when you apply any hair mask. It prevents the mess and keeps you from the smell of onions. Always apply the new hair remedy near the ear so that you do not get irritation, if case you’re allergic. How Long to keep Onion Juice on hair? For any method mentioned above, you can keep for minimum for 1 hour. One hour is good enough to let the treatment be on your scalp. Should we Leave Onion Juice On Hair Overnight? If you feel that the treatment is not making you feel any burning or itching then you can keep it for overnight. Onion juice alone is pretty safe for the overnight application. If you are keeping the juice for the whole night then mix some castor oil, almond oil or coconut oil. You can apply the treatments at least 2-3 times in a week. It would take around 2 months to see some change in the hair growth and texture. You should also take some supplements like the biotin and other essential vitamins for hair growth. Not possibly, as onion juice is pretty safe for the hair and scalp. Still, I will advise you to take the patch test first. A patch test near the ear can ensure that the home remedy is pretty safe for you. This is how you can use the home remedies with onions for hair growth. Have you ever used onions to increase the hair growth and thickness. Which remedy is your favorite. Please share. I would love to know about it. Let’s check the video now.